Lazada Malaysia - Where is my parcel???? i havent got my parcel. and i cant call the service center. where is my parcel???? barang saya dia kata dh sampai tpi saya tak dpt pun brg tu. saya tengok sign org lain. saya rasa delivery man salah hntr brg kt org lain. saya mohon barang tu ambik balik kt org yg awk salah hntr pastu hntr kt saya. saya bayar barang tu *** hati je hntr kt org lain. 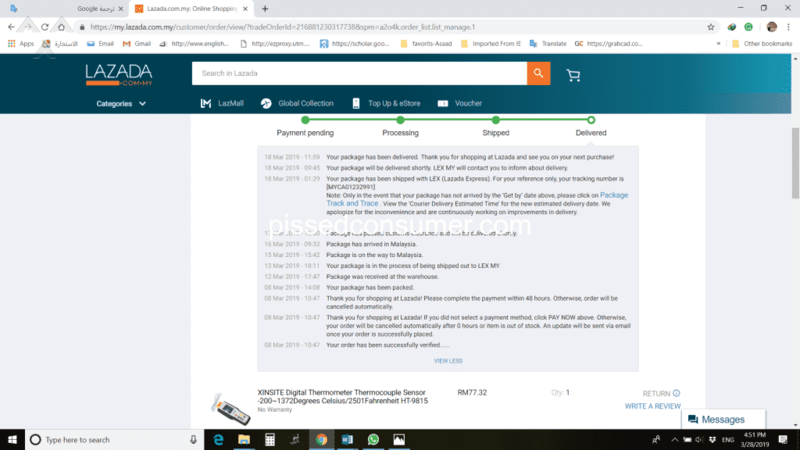 Hello please, I've not received my parcel digital thermometer from lazada, My order 5 items I received just 4 items from 18 March until now not received my item, these items are delivered all items, please I want know where is my digital thermometer?